From the East Coast to the West Coast and from Hawaii to Alaska, these gems are what prep football is all about. Plan a road trip around these unique settings for prep pigskin. The dimensions don't change, but not all high school football stadiums are created equal. Some are state-of-the-art, while some are simply works of art. Some are built for a true home-field advantage, while some are built with its surroundings in mind. We set out to identify 10 of the most unique settings for high school football in the entire country. As seen in the video above, we've included multi-million dollar gridiron palaces that seat upwards of 10,000 to a turf-field stadium north of the Arctic Circle that's surrounded by a chain link fence and spectators bring their own chairs to watch the game. 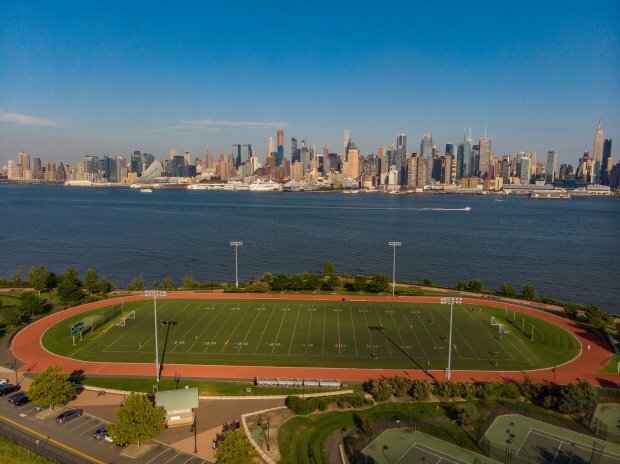 Weehawken High School's football team doesn't play its games at Waterfront Park, but with the New York City skyline as a backdrop, this site couldn't be counted out on a technicality.